Do you go to work, school, or the park with your kids? Do you have neighbors, friends, and social engagements? If so, this is for you! The Evangelism Team, which is recruiting members, is hosting a pre-Lenten service pizza supper on Wednesday April 10 at 6:00 p.m. downstairs in the Fellowship Hall. 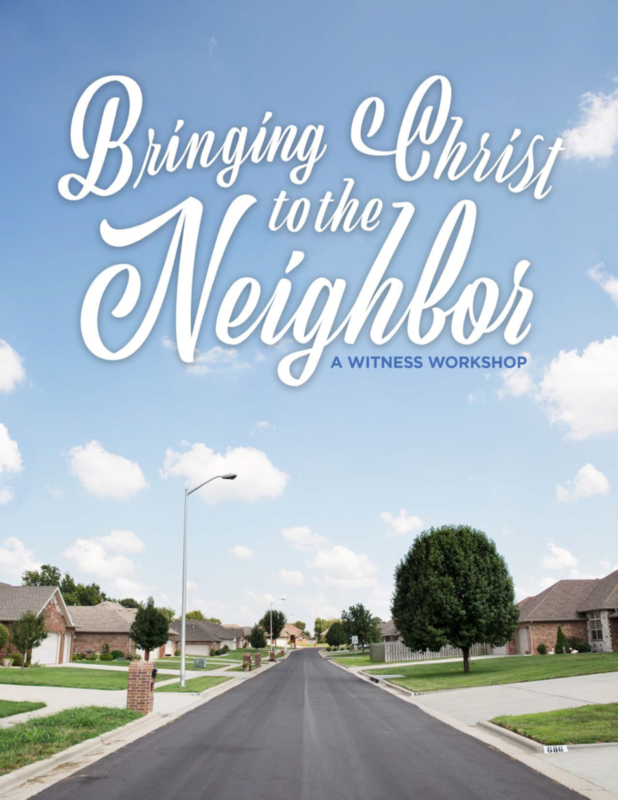 We will introduce Bringing Christ To The Neighbor, a 10-part witness workshop series by Dr. Robert Kolb, a preeminent Luther scholar. This series has print content, which will be available already printed for you, as well as videos. The whole program is available for free online. Look in your mailbox for a card containing information you can use to access it. The Evangelism Team will use the church Facebook page and additional gatherings to encourage discussion and engagement with the series. Please join in! Let’s learn together how we can better live out our church mission to Share the Faith!! Contact Rebecca Holland with any questions at 660-441-1271. The Board of Evangelism is the usually the first contact with members of the community, bringing the Gospel to non-Christians and non-members! can help them on their walk with Christ.